Of course, there are som gay villains in soap operas. But they aren't that many actually. There are some dumb and stupid guys, some dramaqueens and a lot of them are cheaters, but a few of them are real villains. Emmett J. Scanlan as Brendan Brady. Let's start with the villainn of the villains, Brendan Brady from Hollyoaks. Well of course, he have som good sides. He can be kind and hearty, but most of the times he is a bit evil. But I lovee him, because he is so fun! He is violent and exposes Ste for domestic abusement, he kills at least three people during the 2.5 years he appeared in Hollyoaks and he is doing a lot of dodgy stuff. Emmett J. Scanlan is doing a brilliant job playing the character and he was shortlisted seven times for the part in various awards, nominated five times and he won six times. In 2011 and 2012 he won for bort Villain of the year and Best bad boy. So actually, this sociopathic, self-loathing, homophobic gay man, was a real villain. And we haven't seen anyone like him, I would dare to state. 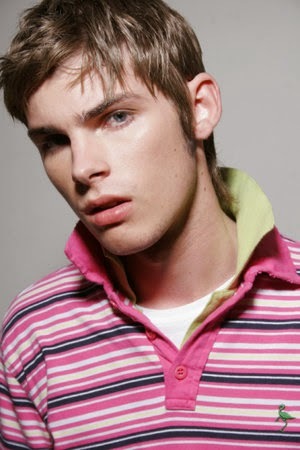 Kieron Richardson as Ste Hay. Well, Brendan Brady is not the only gay villain we have seen in Hollyoaks. Actually, Kiern Richardson was nominated for Villain of the year in 2008 and 2009 years British soap awards. If you have seen Ste the last years, at least since Brendan stepped into the series, Ste has been nothing like a villain. A bit daft amybe, and he has been cheating more than once, but there is nothing evil in him. It is easy to remember him as the drug-addict or victim of domestic abuse, but back in the days he was a bit of a bad boy. Actually he was a bit of a rebell who crashed a car and left Amy in it, and he is sent to a young offender's institute for that. And when he comes back, he is a slacker with no job who abuses hid girlfriend Amy and even cuts her her at one point. But he get's help to deal with his anger and he is growing up to become a decent guy. But he is quite daft and always makes the wrong decisions and hurt everyone who he cares about, but he has a warm heart and he doesn't want anyone to get hurt, really. And I love him, of course! 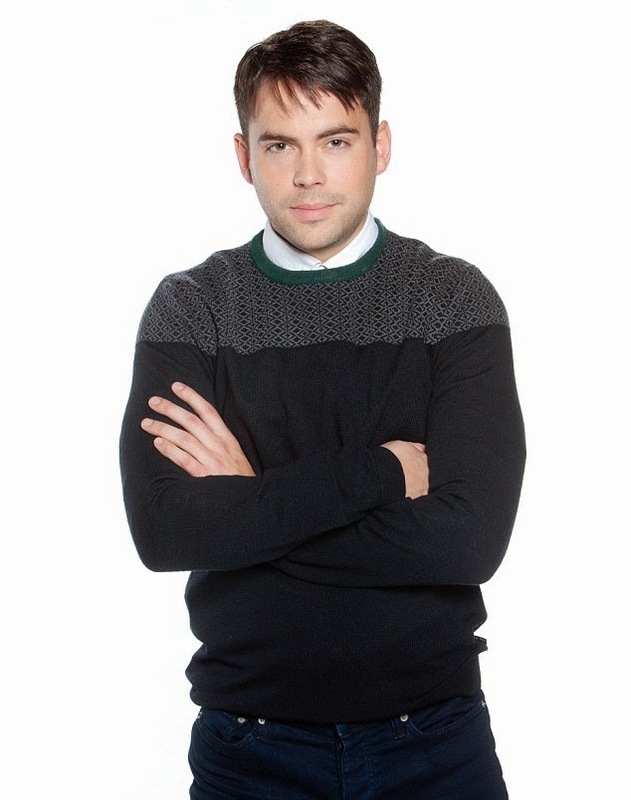 Bruno Langley as Todd Grimshaw. It seems like the British are the ones who have the guts to make the gays the bad boys. And heres one more. Todd Grimshaw of Coronation Street is stated to be a not that nice of a guy. Todd (Bruno Langley) was actually the first gay character in Coronation Street and he came out in 2003. Really? The show has been going on since 1960! A bit embarrassing I think. Well, Todd kissed his girlfriends brother, he then had a secret relationship with the nurse Karl, and then he left the series in 2004. But he came back in 2013 and he is now stated to be in a relatioonship with a guy called Marcus. Well, actually, I started to watch the Todd storyline last year and saw some snogging on Canal Street but I really got bored of it and gave up. It was just about sneaking around and not enough snogging. But I might give it another chance. Anyway, Todd is stated to be a manipulative liar, and since he came back he has been called a "wily man-hunter", "manipulative fella" and "scheming man-stealer in Inside Soap. So, a villain he is. Danny Miller as Aaron Livesy and Ryan Hawley as Robert Sugden. And when we're at it, we might as well talk a bit about Aaron and Robert. Aaron Livesy (Danny Miller) is a Dingle. That would say it all. he is listed as a villain on Wikipedia, but to mee he seems more like a thug. He has been nominated for, and he has won, a lot of awards, but no ne for villain or bad boy. So he can't be that bad. Of what I have seen, he was just a bit of a troubled teenager. But the guy he is seeing right now, Robert Sugden (Ryan Hawley) is told to be quite a douchebag, and he is "becomming quite the soap villain these days", according to The Mirror. To be continued about these guys. Harry Reid as Ben Mitchell. Well, and Ben Mitchell (Joshua Pascoe, Harry Reid) should be counted as a villain. Ok, I don't think he is deep-laid evil, but he intrigues a lot, he accused Christian of sexual harassment and he killed his stepmothers friend. Proof enough? But he is only 18, and it seems like most of the times, he just makes the wrong choises. I don't think he will be an icurable villain like Ptarick Blake in Hollyoaks. Hopefully he will grow up a bit and start making the right choises. Timothy Boldt as Ringo Beckmann. And then we have dear Ringo from Unter Uns. He is both vicious and vile, but to his parents, he is an absolute angel. While he is the perfect son he steals from his neighbours, he hacks into computers, he breaks up couples and he is unpleasant and rude in general. He is quite homophobic, at least for a while, even though he is bisexual himself and have had some flings wityh men. He actually falls for Yannick (Eric Stehfest), but his homophobic ways makes him beat him almost to death. Later on he makes a scheme just to make Yannick leave Köln. But really, I think he is a breath of fresh air compared to all the naive and a bit boring gay characters in other soaps. I like him! I just think he needs some more boy on boy action.